Samantha Mishra opens her eyes and discovers she's alone and injured in the thick of a jungle. She has no idea where she is, or what happened to the plane taking her and the rest of the Drake Rosemont fencing team across the Pacific for a tournament. Once Sam connects with her best friend, Mel, and they find the others, they set up shelter and hope for rescue. But as the days pass, the teens realize they're on their own, stranded on an island with a mysterious presence that taunts and threatens them. Soon Sam and her companions discover they need to survive more than the jungle... they need to survive each other. 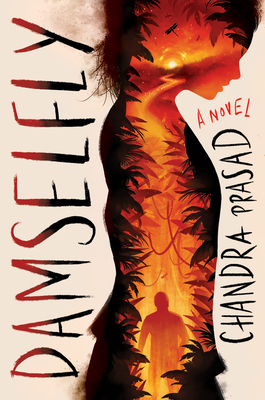 This taut novel, with a setting evocative of Lord of the Flies, is by turns cinematic and intimate, and always thought-provoking. Chandra Prasad is the originator and editor of Mixed, an anthology of short stories on the multiracial experience. She is also the author of several critically acclaimed novels for adults, including On Borrowed Wings. Damselfly is her YA debut. A graduate of Yale, Chandra lives and works in Connecticut. To find out more, visit her online at chandraprasad.com. Please register for this FREE event here. If you're unable to attend the event and would like a signed copy of Damselfly, please purchase the "Signed" version below.